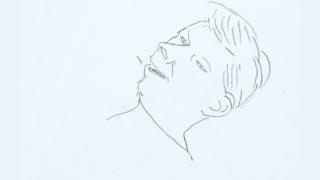 When Norman Gilbert’s wife of 65 years suffered a stroke, the artist sat at her bedside in hospital for a week and did what he does best – he sketched. 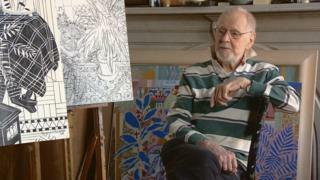 The 91-year-old has always included his family in his work and his wife Pat had featured in his paintings since they met at Glasgow School of Art in the 1940s. Pat died in August 2016, two hours after their wedding anniversary. She had been suffering from Alzheimer’s disease for a number of years and Norman cared for her until she had a severe stroke and was taken to the Queen Elizabeth University Hospital in Glasgow. “I stayed with her awake the whole night,” Norman says. Norman says he slept at home on the second night but after that he had a chair set up in the hospital room so he could be with Pat at all times. “After I had been there for two or three days I thought it would give me something to do if I took my sketch book and drew her,” he says. Norman says he does not know if Pat was aware of what he was doing. The artist says he completed about 30 drawings and in “five or six of them I think I have caught something”. 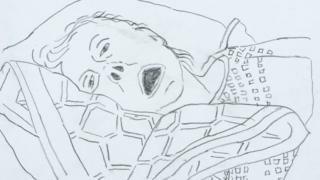 The resulting sketches are simple, honest and enormously moving, familiar to anyone who has been at the bedside of a loved one in their final days. “I have no regrets about doing the drawings,” says Norman. 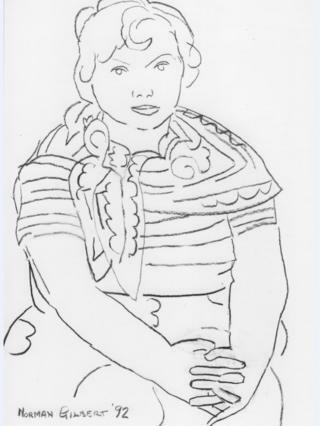 As well as helping Norman, the sketches were important to his four sons, two of whom are based in North America and could not be at their mother’s bedside for the whole time. Dr Mark Gilbert is the youngest son and is also an artist, based at Dalhousie University in Nova Scotia. For the past 20 years he has worked as an artist collaborating with patients and caregivers, physicians and surgeons. When he worked in London, he painted portraits before, during and after facial reconstruction surgeries. 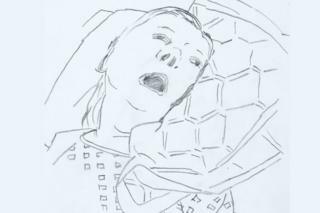 Despite this, he says he was “staggered” when he found out his father had been drawing his mother. “It meant that I had to come from behind my own easel to confront one of the most challenging times of my life,” he says. For the past year he has been presenting the sketches to professional academic audiences in North America as a way of widening the discussion about dementia and end-of-life care. Mark says he would now like to extend that conversation to the general public. “The next thing I am working towards is to actually get the work exhibited,” he says. 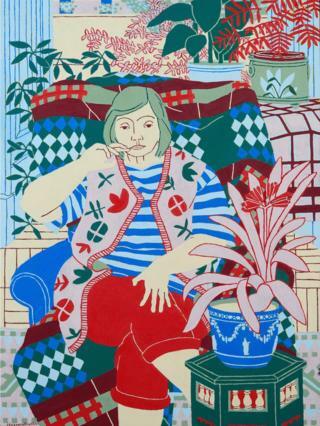 The latest exhibition of Norman’s paintings, which opens at the Tatha gallery in Newport-on-Tay on Saturday, does not include the drawings of Pat. The 24 paintings in the exhibition do include others of his family whom he says became his subjects because “they were there and willing”. 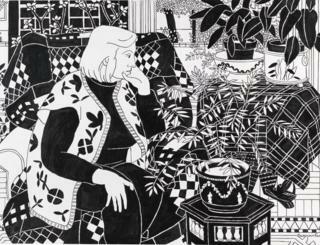 He says his paintings now takes six to nine months to complete because he painstakingly calculates how they will be composed and uses black and white before he adds colour. 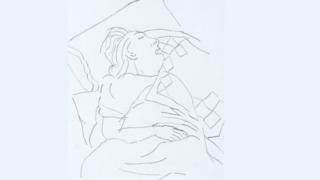 As for the drawing of Pat in hospital, he says his only regret was that he could not show them to her. “Pat said she liked me painting the children because it gave them a sort of immortality,” he says. 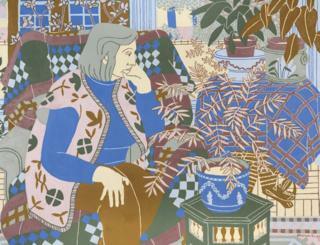 Passion, Vision and Spirit is at the Tatha Gallery in Newport-on-Tay, from 13 January.